During our recent demonstration in Forbes, NSW of the Arcusin Multi-pack C14, we were able to demonstrate to customers the potential of ease of transport. The bale packs were made on site using the Multi-pack C14. Due to the unit producing such a neat and tight pack, the bale packs can be arranged onto a truck or trailer and transported. 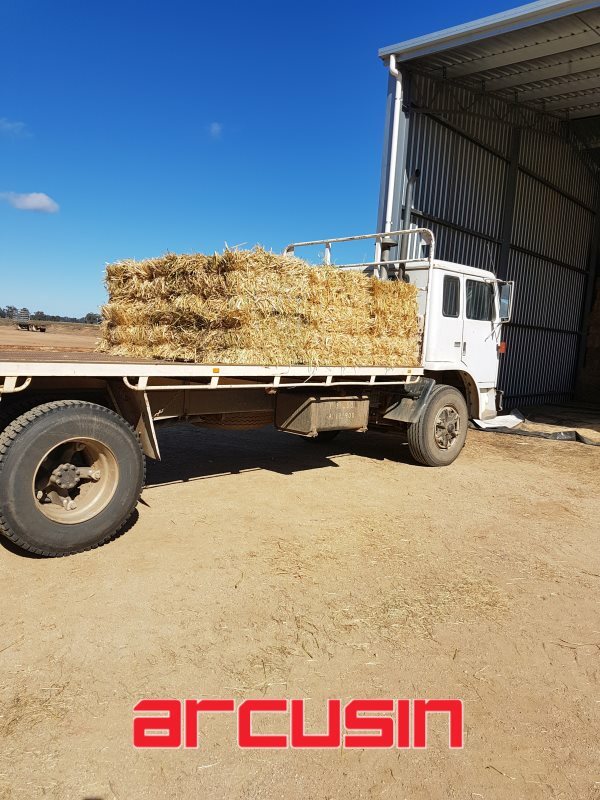 Pictured here is a flat bed truck 2450mm wide with bale packs loaded (bale lengths 85cms long). The bale packs can be loaded with conventional attachments such as of 10 or 15 hydraulic bale grab, standard pallet forks, hay spears or forklift. ACF equipment suppliers have loaded the trailer loading specifications on its website illustrating different ways to load the bale packs on a trailer. 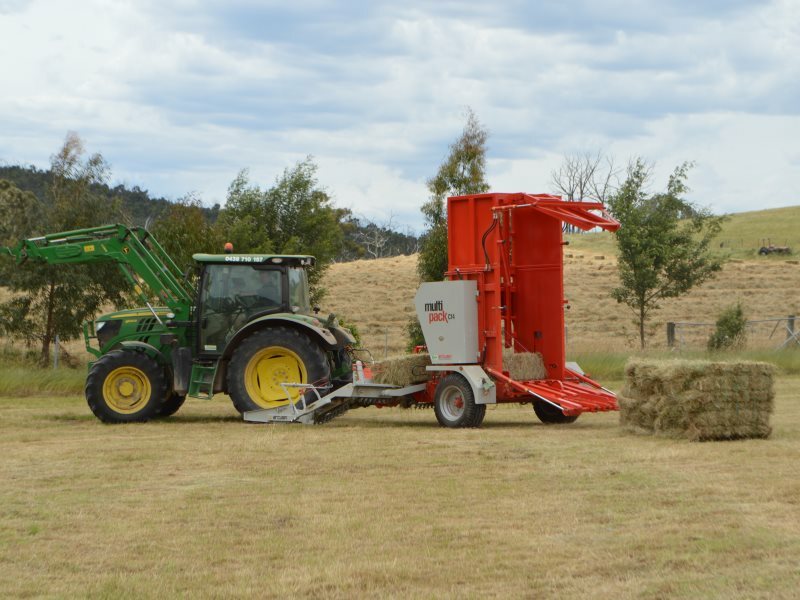 The Arcusin Multi-pack C14 bale packer was demonstrated in Forbes, NSW in late August 2017 and also in Stanhope & Elmore in Victoria in early September 2017. 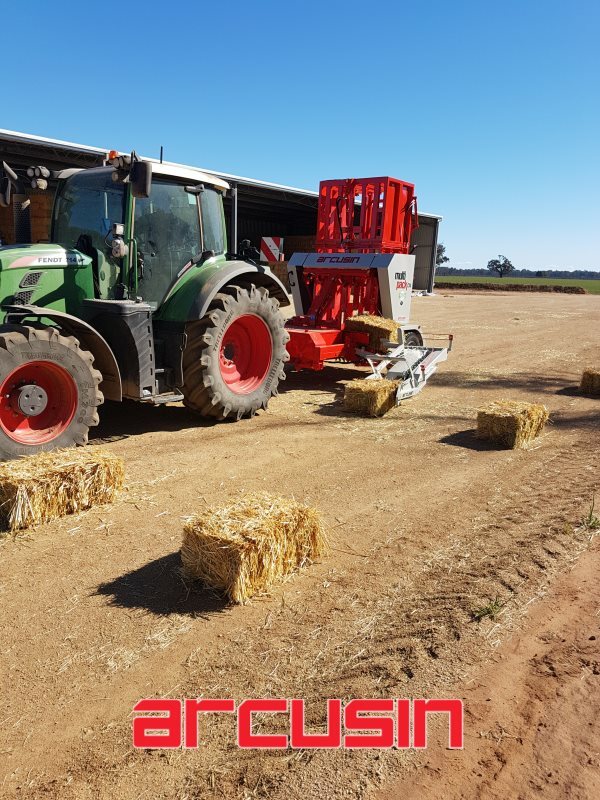 Customers were impressed to see the Multi-pack C14 in action, as a means to reduce handling small bales, especially to reduce the time and cost involved. The Multi-pack picks up small bales as they lie without the need to turn them, using the sensors for bale detection with a single turn pick up. The small bales are fed into the bale pressing chamber where up to 14 small bales are compacted into one pack. The bale pack is released out the rear automatic gate. How Spectacular! The Auto Stack FSX Automatic bale handler pictured unloading bales. The Arcusin Auto Stack FSX performed well at the recent demonstration at Horsham, Victoria on the 4 September 2017. 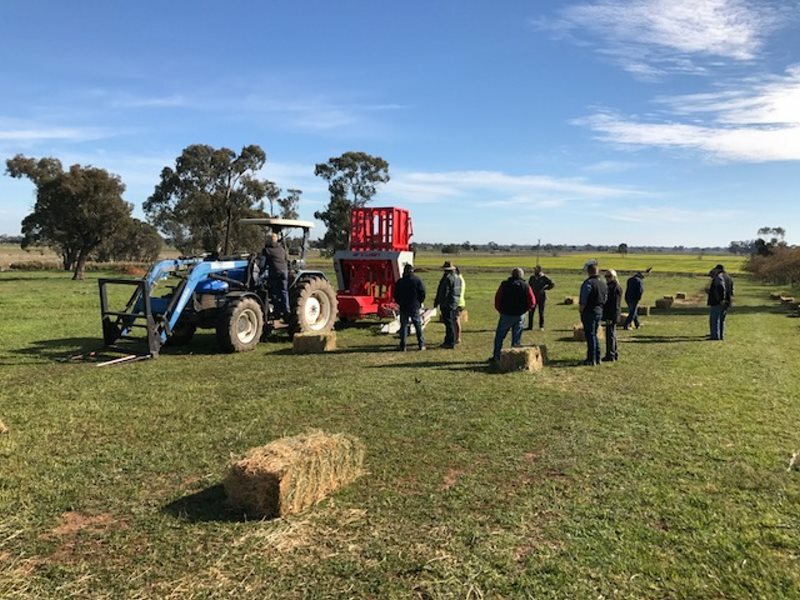 Customers had the opportunity to attend demonstrations of Arcusin’s bale handling equipment in key hay locations around New South Wales and Victoria in late August to early September 2017. The demonstrations formed part of the annual bale handling road trip. It’s that time of year again, the anticipated Arcusin Bale Handling Road Trip 2017. 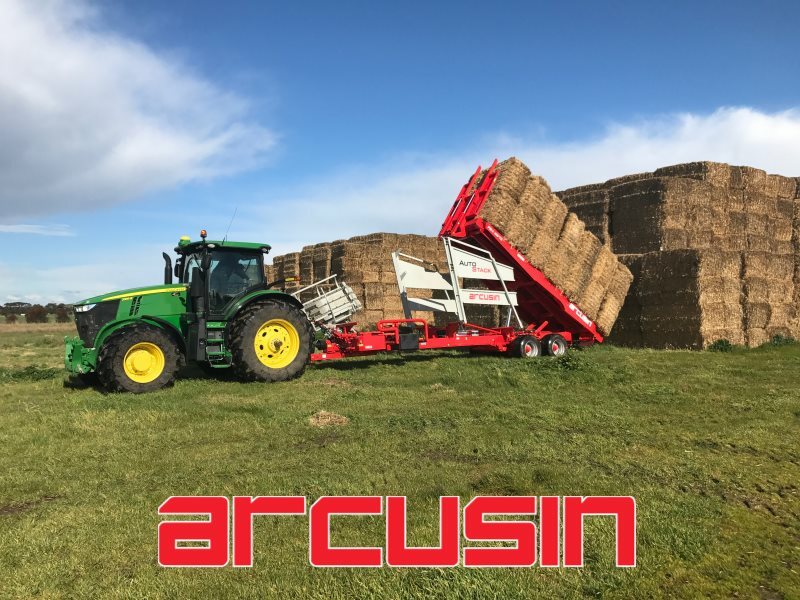 The Arcusin Australia crew as well as Xavier, Arcusin tech support representative from the factory in Spain will be conducting demonstrations on Arcusin Muli-pack & Auto Stack bale handling equipment in selected location in Australia. Tentative dates for 2017 are as follows: Read more..